It was gratifying to see that Trivium Schools got a mention in the Guardian in a piece entitled: ‘What’s in store for education in 2015?’ It would be great to see the trivium network grow in influence over the next year. The network currently numbers thirty schools from both independent and state sectors and it would be good to see your school join! From the Trivium course at Oundle to the work on embedding the Trivium at Highbury Grove each school is looking at how to use the lessons from our great education tradition to build something that works in their particular community for the future. 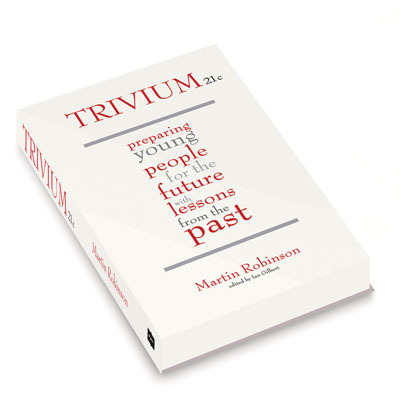 If you are interested in finding out about Trivium Schools please contact me here. Joining the network is easy, all you have to do is invite me to work with your school for a day or more and your institution will automatically become a Trivium School for rest of the academic year. Each school in the network receives a monthly bulletin by email, the January 2015 edition looks at the trivium and the EPQ, and also members of your staff will be invited to attend a conference or two per year of membership. Ideas from each school are shared as are ideas from a number of other people and organisations and by getting a chance to hear what others are doing you not only get inspiration but also the opportunity to work with each other.